Happy Holidays from our thredUP Family to Yours! The holiday season is upon us in all its festive, stressful, exciting, bright glory. Even if this is undoubtedly your favorite time of year (ours, too), there’s no denying that it’s not exactly the most calm time, despite the lyrics of that old favorite Christmas Carol. In the spirit of soothing your nerves this year, you may have been following along with our #holidayhelpers series on Facebook (if not, check it out ASAP) – we’ve been posting a tip, trick, offer, or piece of inspiration daily to help you get through the season healthy and happy. To go along with the idea that the holidays should be happy rather than harried, we got to talking about one of our favorite ways to de-stress – adult coloring books. We’re being serious! Studies have shown that coloring can helps adults combat stress. In fact, Carl G. Jung, one of the founders of modern psychology, had his patients color as a way to de-stress. If you place an order from December 16th until the end of the year, while supplies last, you will find a coloring card inside your box or envelope from us to you. Color it in. Take a deep breath. Snap a photo of your colorful creation. Then mail or give the card to someone you love or like a lot. 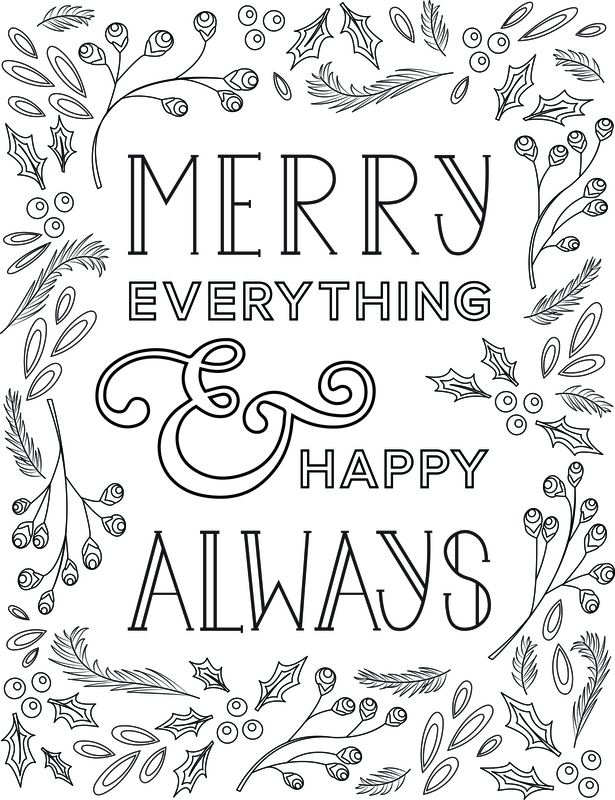 If you haven’t received a card yet, or want to additional copies of the coloring sheets for a kid in your life (or an adult who needs to de-stress!) here’s an 8×11 version for your printing pleasure. Happy Holidays!